+ HOW CAN I ADD MY CITY? That's easy. Just fill out the online form and the rest will be done by RUN TO DISCOVER. Please provide your e-mail address in case there are any questions and to notify you about the city guide status. The next question will answer everything about the following process. + WHAT ARE MY BENEFITS TO PRESENT A CITY? Presenting a city gives you the unique opportunity to introduce yourself (e.g. your blog or Instagram account) on this platform! Underneath your city guide will be a small section where you will be featured as the author of this city guide. Furthermore you can either introduce yourself and/or use this part to promote e.g. your blog as well. Please don't present any other brands or companies as this might interfere with sponsors/presenters of this platform or individual city guides/routes! + I ADDED A CITY. WHAT HAPPENS NEXT? First of all, thank you very much for developing this platform! After you filled in the online form with all the information about your city, the city guide, based on your information, will be set up within the next 24 hours. As soon as that happened, you will be notified via e-mail with a preview link. Following your confirmation it will be published and you will be notified with the final link. Please share this link with all your social media contacts in order to make this idea big. Don't forget to use the official hashtag #runtodiscover either! + THE CITY IS ALREADY FEATURED. HOW CAN I GET INVOLVED? Feel free to add your favourite route(s) to this city. In case you already lived for a decent time in another city which is not featured yet and you have enough information (running routes on gps, photos etc. ), please add the city! + HOW CAN I GET INVOLVED AS A SPONSOR/PRESENTER? 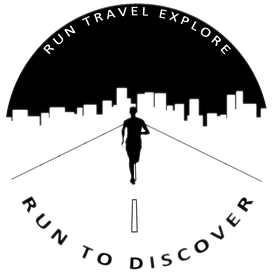 RUN TO DISCOVER is always open to discuss other ideas. Please contact us via the contact form and describe what you can imagine.